Research-Based Strategies for Learners, Teachers and Leaders! 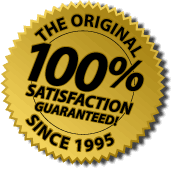 Welcome to our website and thank you for your interest. 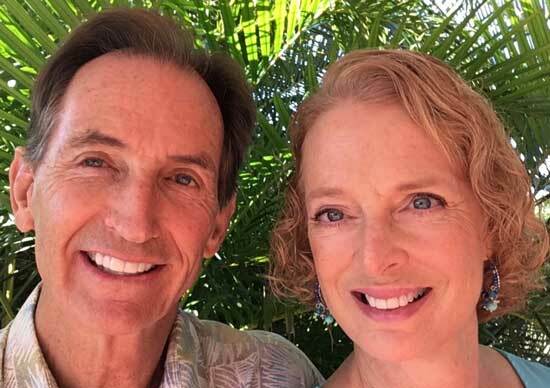 Both of us have been classroom teachers with a lifelong passion for helping students love to learn and succeed. Here at Jensen Learning, we integrate cutting-edge neuroscience with practical, user-friendly classroom strategies. 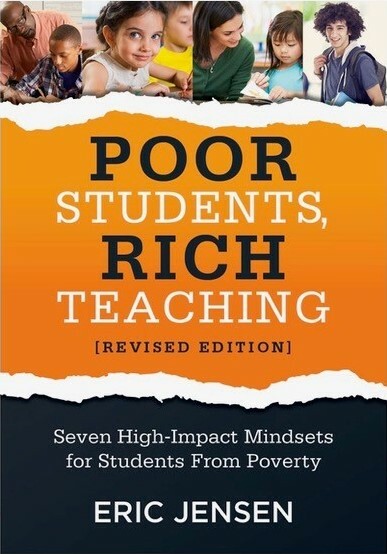 You will learn to overcome school challenges such as poverty, misbehaviors, cognitive lags, teacher turnover, weak school culture and student effort. Check out our Brain-Based Learning resources such as books and workshop trainings. You’ll also find Eric Jensen’s Brain-Based PowerPoint Presentation Templates and DVD tools to help you deliver a clear concise learning experience and a powerful presentation to your teaching staff. 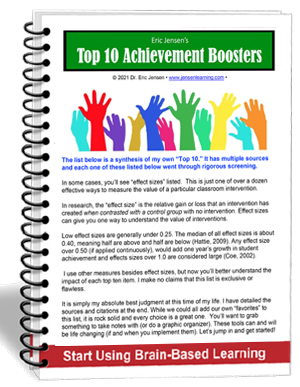 If you haven’t already done so, please sign up for our FREE Top 10 Achievement Boosters (above) and we’ll ensure you get our FREE monthly newsletter – the BrighterBrain®Bulletin. Check Out The 2019 Jensen Learning Workshops! A brain-compatible teacher teaches with the brain in mind. This educator understands the principles and uses strategies in a purposeful way. This path is all about an educator who understands the reasoning behind their teaching. It is also one who stays constantly updated through continuous professional development. Bring Eric to Your School District? Eric is available to offer much longer, more in-depth programs and teacher workshops at your school or district. Each additional day gives your participants a stronger scientific foundation plus additional practical strategies, with time to practice on-site. Click to find out more on how to bring Eric Jensen to your school for a private teacher workshop. … all about smarter, more purposeful teaching that can reach a greater number of students. It’s not any one single thing you do. It’s more about the on-going, purposeful aggregate of environment, instruction and curriculum strategies that makes it all work. 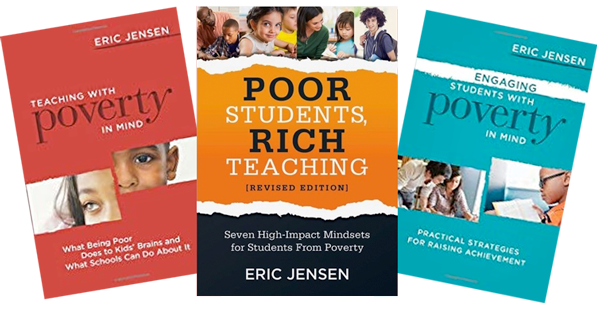 Eric Jensen’s books give you the poverty background, real science, fresh research on what works, and most importantly, the new mindsets needed to succeed. Every chapter gives you real strategies you can implement immediately in your school or classroom. Check them out here! Great information! Not only does Dr. Jensen give the science to back up what he is saying, he tells and shows you “how” to make the changes. Best I’ve ever heard! 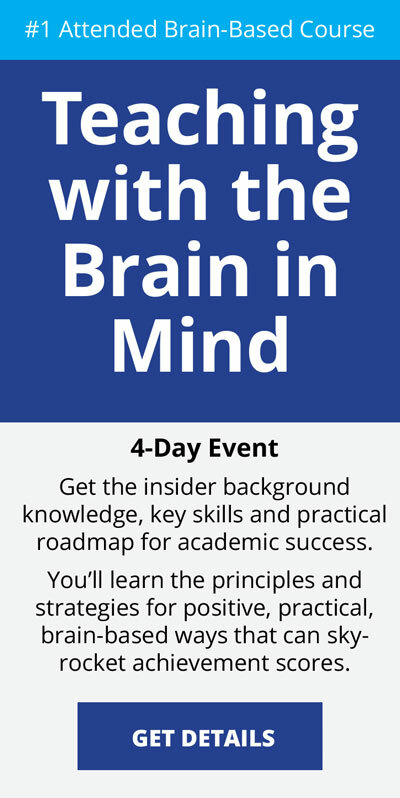 If you have any interest in learning the mechanics of how the work of teaching changes brains, and an interest in connecting those mechanics to actual, usable strategies, you should be at the next session. 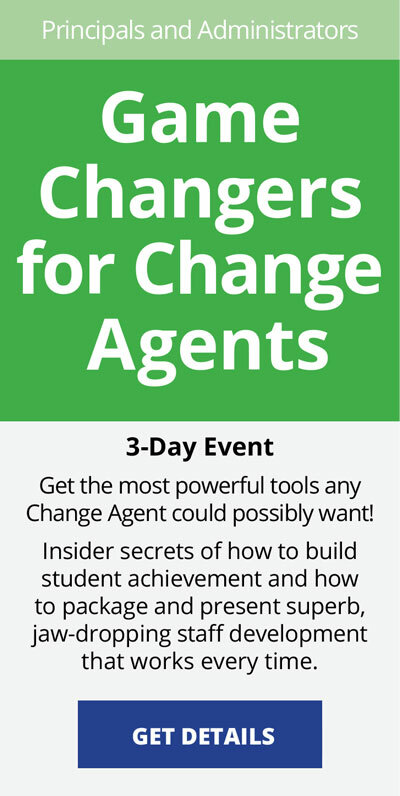 The blending of brain science with actionable, steps and strategies provided for an amazing conference that any educator should find both meaningful and relevant. This is a must attend workshop. It is engaging, research based, and provides strategies that you can use the next day. 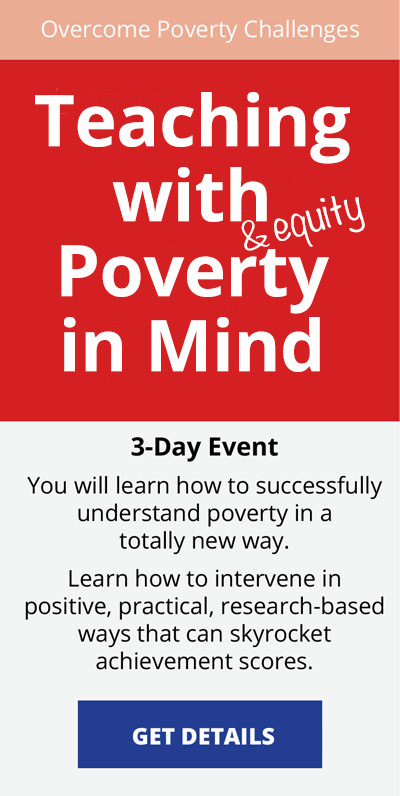 This workshop will make a difference in your students educations and lives. Eric Jensen’s brain-based teacher workshops focus on practical strategies linking brain research to student achievement. Get Eric’s Powerpoint Templates. Nurture the learning brain through brain-based teaching approaches Professional Development Topics. four (4) powerful 99-minute live staff development presentations, delivered online. Click here for details. Seven core principles are introduced, each with critical links to student achievement. Click here for details.